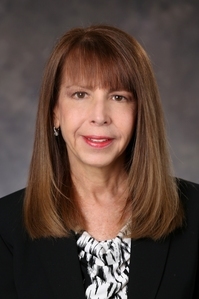 The firm’s Lisa A. Lerner contributed a guest column in the Friday, March 13, 2015 edition of the Daily Business Review that focused on the changes that have taken place with some of the practices of South Florida community associations as a result of the foreclosure crisis and the investor-fueled recovery.
. . . For all of these growing numbers of associations, things are quite different today than they were 10 years ago at the height of the area’s condominium and housing boom. After the national meltdown in the housing market and bursting of the condominium bubble in South Florida, the associations have adapted by becoming considerably more forceful in their collections practices, especially in cases involving prolonged foreclosures against their delinquent unit owners. Also, for many of the new condominium properties that are owned primarily by investors from abroad, the challenges caused by having so few full-time residents who are willing to take on the responsibilities of serving on the board of directors or even voting at the membership meetings are being met with novel and creative solutions. One of the most significant changes in today’s community association practices entails foreclosures by the associations against their delinquent unit owners. The practice was virtually unheard of 10 years ago, as the lenders would almost always move quickly with their own foreclosures against these owners, and the first-mortgage liens are superior to those of the associations. However, today it has become fairly common, as the lenders have proved to be anything but efficient and expeditious in the prosecution of their foreclosure cases while they wait for the housing market to recover. The prolonged lender foreclosures caused significant financial strains for the associations, and many of their attorneys responded by helping them to complete their own foreclosure actions in advance of the banks in order to acquire and rent the residences before the lenders’ foreclosures are finalized. Since many of the lenders have been taking years to complete their foreclosures, the revenues from these rentals have helped to allay a great deal of the financial difficulties that the associations have faced. Other major changes in how today’s condominium associations operate have to do with the nature of the current recovery in the market for new luxury condominium developments in South Florida. The predominant type of buyer for a great deal of the area’s largest and most expensive new offerings are investors, many of whom primarily live abroad and use their local condominiums as a second or third home. Typically, a considerable majority of these unit owners do not take part in the matters involving their condominium associations. Many of them do not even bother to vote in the annual elections for their association’s board of directors, let alone taking on the responsibilities of serving as a director. For all of these new luxury South Florida condominium developments, it takes a greater level of outreach and communications by their associations and property managers in order to conduct all of their elections and association business as prescribed under Florida law. For example, Florida law requires that at least 20 percent of eligible voters cast ballots in order to have a valid election at the annual meeting, but even that modest percentage can be difficult to achieve for many of these properties. For votes on material alteration projects and other issues that may require even greater participation rates, the associations and their attorneys have had to get creative in order to secure the necessary involvement. For example, several of my condominium association clients have developed and used password-protected websites that were designed to showcase to the unit owners all of the renderings and descriptions for proposed renovation projects, and these sites helped to facilitate the participation of owners who are not residing at the properties. The sites, which also included the paperwork and instructions for the owners to vote by limited proxy in order to approve or reject the renovations, enabled the properties to achieve the necessary votes. Finally, perhaps the most important and positive change for community associations today is the increased level of informational resources that are available to enable association directors and members to cope with all of the difficulties that they have had to overcome. Blogs on association issues such as the one by our firm as well as those from other community association attorneys are constantly updated with timely and helpful information on the most pressing matters affecting associations, and there are also a number of publications and their corresponding websites that are devoted exclusively to community associations. With these resources and the help of experienced legal counsel, condominium and homeowners associations are implementing the necessary changes to overcome the challenges of today’s investor-fueled recovery. Our firm congratulates Lisa for sharing this article on some of the changes that have taken place at South Florida community associations in recent years with the readers of the Daily Business Review, which is the South Florida region’s only daily business newspaper.